Here you can make an order. On this page are listed all of our product range from all countries. When you have selected the products you want to order, submit the order by pressing SUBMIT button. We will contact you afterwards in order to finalize the order and the delivery. Please add your name, address and phone to the order delivery. From the shopping cart on the right-side you can continually track your order and select "Submit"
From the item overview the order can be adjusted, then proceed to delivery. All prices at Eurodeli.dk  include VAT and all taxes. On our website there are items that are priced by weight. This means that the exact cost will not be known when we weigh the item in connection with the packing of your order. The final price may well be lower than stated in the order, but never higher than stated in the order. At your order you will also see the price that we take for delivery at your home. The packing of your items are free. Once you have confirmed your payment on Eurodeli.dk, you will get an order confirmation by email. Your invoice will also be sent to you electronically once your order is packed and ready for delivery. 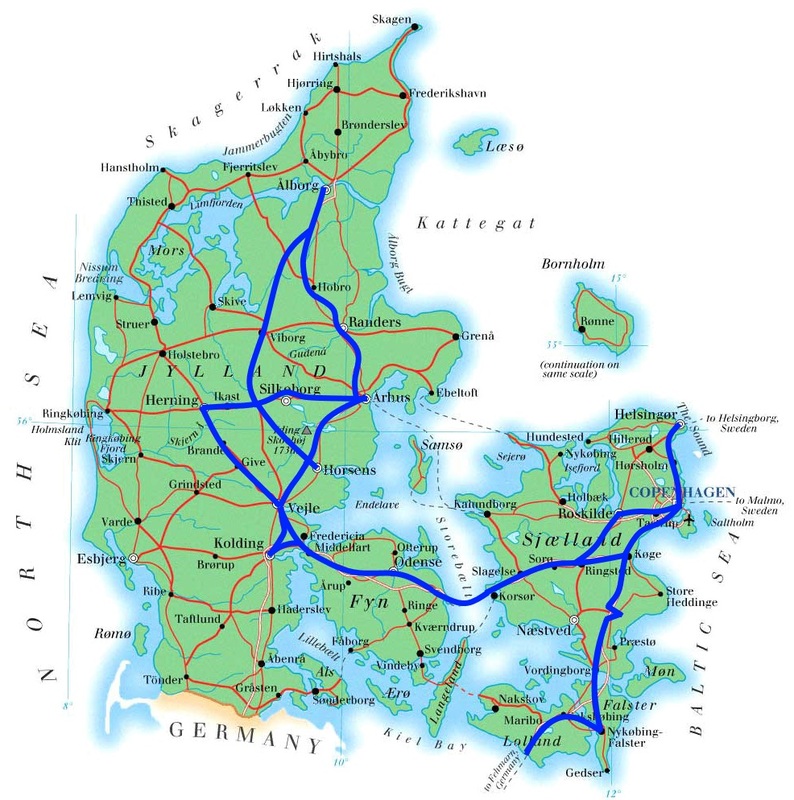 Eurodeli.dk delivers its products throughout Denmark. There is a regular route that will benefit our customers who live near this route due to the fact that it will be used as a starting point for calculating the price for your delivery. When you order, you can select in which time interval you want your goods delivered. This time interval will used in the planning of our drivers' routes. We would have reservations for unexpected obstacles such as traffic, weather and other conditions that can cause our drivers to be delayed. Eurodeli.dk delivers the goods at your doorstep. For the safety of refrigerated and frozen food, you must be at home at the time of the delivery. If there is no one at home, the driver will try to call you at the number you have provided when ordering, so you can agree on the given situation. If the driver cannot deliver the goods and does not reach you on the phone, he takes the goods back to the shop. You will be charged the shipping fee, and you are then returned the money for the goods. This does not apply to the chilled and frozen products, which will be disposed as Eurodeli.dk can no longer guarantee their quality. The returned amount will be credited to your account, unless otherwise agreed with the customer. Eurodeli.dk checks continuously if there are enough items in stock. There may subsequently arise situations when we must discard some items at the warehouse if the quality does not meet our strict requirements. In this case we cannot provide all the desired items. But we will offer you similar products from other countries. Should you by any chance experience errors or defects in connection with your order or delivery, please as soon as possible and no later than 2 days from the delivery of your item contact our customer service by mail or by phone so we can correct the error. There may be cases where Eurodeli.dk needs to receive the defective item (incl. Package), so we can forward it to our supplier. Therefore please do not to throw these products or packaging out prematurely. In such cases, the transport expenses would be paid by Eurodeli.dk. The rules of Sale of Goods Act apply to your purchase. Therefore you have a 2 year warranty for goods that are not food or for household use. This means that you either get it repaired or replaced, receive refund or reduction in price, depending on the specific situation. This, of course, only applies if there is a justified complaint, and if the defect is not caused by wear, misuse or other behavior that caused damage to the goods. You must complain as soon as possible and no later than 2 months after you discovered the error / defect in the product. If we fail to find a solution, you can file a complaint with the Competition and Consumer Authority's Center for Complaint Resolution, Carl Jacobsen Vej 35, 2500 Valby, via www.forbrug.dk. You can also use the European Commission's online complaint portal, although this will mainly be relevant if you are a consumer residing outside Denmark. For food and goods for the household there is NO return right. For all other products there is a 14 day return right. The period of the merchandise return right will expire 14 days after the day when you get the physical possession of the item. In case when multiple goods are ordered in one batch but delivered separately, the return period will expire 14 days after the date on which you get the last item in physical possession. In case of a product consisting of multiple pieces, the return period expires 14 days after the day when you get the last last part in physical possession. To enforce the right of merchandise return, you must inform Eurodeli.dk (see contacts below) of your decision by an unequivocal statement (eg. Letter sent by post, fax or e-mail). You will only be liable for any diminished value of the goods resulting from the handling other than what is necessary to establish the characteristics of the item. You can thus test the product in the same way as if you tried it in a physical store, but you may not take it in actual use. If the product is proven beyond what has been described above, we consider it as used, which means that you will only get part or none of the cost back, depending on the product's commercial value. You must send your notice of cancellation before the return period has expired. You can use standard return form at the bottom of this page, but it is not mandatory. If you exercise your right of merchandise return, Eurodeli.dk will refund the payment received from you without undue delay and within 14 days from the date on which Eurodeli.dk has received notice of your decision. Eurodeli.dk carries out such reimbursement using the same means of payment as you used for the initial transaction, unless you have expressly agreed otherwise. Eurodeli.dk may withhold reimbursement until Eurodeli.dk has received the goods back or you have supplied evidence of having sent the goods back. You can return the item to us by mail or cargo, and thus pay for transportation costs. You can also assign the item to a driver from Eurodeli.dk if you have ordered new items for delivery before the return period expires. You must return the goods to Eurodeli.dk without undue delay and no later than 14 days from the date you have informed Eurodeli.dk about your decision. Eurodeli.dk recommends that you save the receipt as a proof that you have delivered the package to the post / carrier. You shall only be liable for any diminished value of the merchandise resulting from the handling other than what is necessary to establish the characteristics of the item. When you place an order for Eurodeli.dk, you must provide your name, address, e-mail and phone number. We need this information to send you invoices. All information that Eurodeli.dk records in order to process your order is treated confidentially and in accordance with the applied Act. For the sake of our accounting, we save this information for 5 years. We never collect personal information without you giving us this information by creating a profile, participating in a survey, accepting Facebook Connect or the like. We will never share your personal information in social networks like Facebook, Twitter, etc. without your explicit permission. Personal information is used only to implement the service for which the information is collected. The information is also needed get more familiar with you and other users of the website, by conducting studies and analysis aimed at improving our products, services and technologies, as well as displaying the website content that is customized according to your taste and interests. We try to make your experience on Eurodeli.dk personal by showing you your most frequently purchased items or products similar to what you saw earlier on. This personalized content is based on the information we have from your prior use of Eurodeli.dk, and it is generated automatically. According to the law, your personal information is kept secure and confidential. We store your personal information on computers with limited access, which are located in controlled facilities. Our security is checked regularly, always bearing in mind your rights as a user. Personal information is deleted or made ​​anonymous as the purpose for which it was collected has terminated. The data is controlled by the Director of Eurodeli.dk personally. The rapid development of the Internet means that changes in our processing of personal data may be necessary. We reserve the right to update and amend the processing of personal data. If we do so, we will correct the previous date for "last updated" date at the page bottom. In case of substantial changes we will notify you in the form of a visible notice on our websites. You will be receiving our newsletter if you have subscribed. Unsubscribe through phone or email.